The programs we offer are designed to encourage an eagerness to learn and develop that will certainly remain with and guide our students for the length of their professional lives. 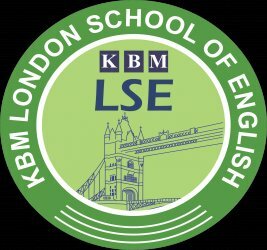 Achieve your practical English Language Skills with KBM LSE. The course develops all your practical communication skills, with special emphasis on speaking, pronunciation and listening. By learning and practicing new language in imaginative and structured lessons, you achieve greater fluency in everyday English. This includes grammar, vocabulary, colloquial English and idioms. This qualification contributes to the Government's Skills for Life initiative by providing the assessment of ESOL which is designed around the standards for adult literacy and the ESOL Core Curriculum. It is designed to cover the standards and curriculum with sufficient range, breadth and depth to properly reflect the use of the English language in real world situations, appropriate to the needs of the client groups and the National Qualifications Framework at Level 2. The ESOL program running at KBM LSE covers the Level 2 content of the EDI ESOL qualification. Students must have a Level 1 or equivalent to apply for this course. This course has been specifically designed for the candidates who, as part of their job, deal with English-speaking counterparts regularly in a functional capacity. This qualification is available at five levels, from Preliminary ("survival" level) to Level 4 (fluent in complex business contexts). Tests cover practical reading and writing skills with optional oral tests. This qualification is specifically designed to assist individuals with practice of their verbal English skills in the workplace. The qualification examines your verbal skills and competencies conducted in an interview with an external examiner. The assessment will last 20 minutes at the Preliminary Level increasing to 40 minutes at the Level 4, in order to assess the range of skills and linguistic content being used. The EDI CertTEFL is a Level 5 qualification (UK Qualifications and Credit Framework) designed for people/trainees who have little or no experience of teaching English as a Foreign Language (EFL), but who wish to commence a career as an EFL teacher. •Evaluate the communicative needs of classes of speakers of other languages (both at higher and lower levels). •Meet these needs through effective teaching.